I really should have read this one shot first, as it would have built the world better for me. The framing device, for this handbook, is that one of the Madri has decided he wants to know all of Apocalypse’s secrets. What he finds is profiles. Each is given either a “Chosen” or “Forgotten” tag. We learn that Magneto’s school is on Wundagore Mountain. Apocalypse knows that Colossus is married to Katherine Pryde. Apocalypse knows that Illyana is a prisoner in his breeding pens. Charles Xavier, Forgotten but Apocalypse wonders what type of world it would be if Xavier wasn’t killed. 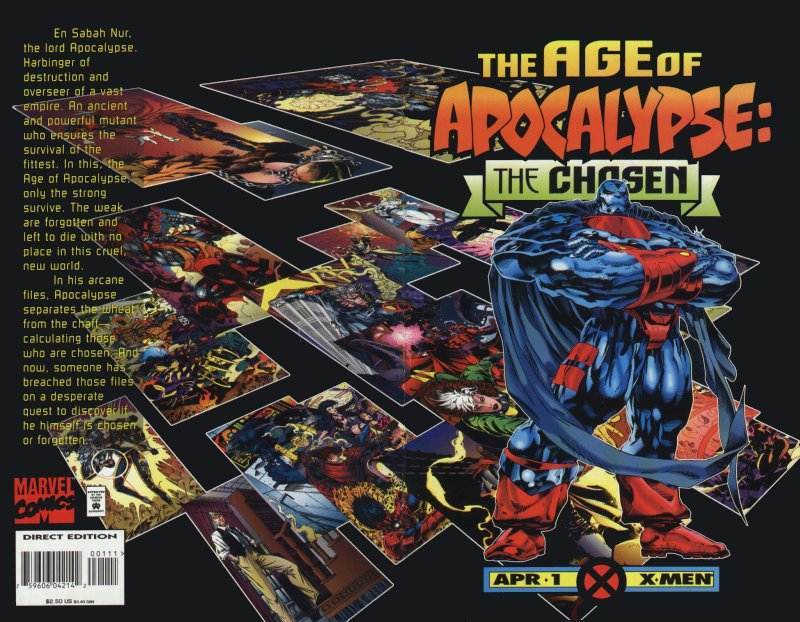 Issue ends with the Madri being Chosen but Apocalypse doesn’t like spies and he kills the one Madri and changes their status to, Forgotten. Bob Wiacek was the inker for the X-Man and the Four Horsemen profiles. Terry Austin was the inker for Quicksilver and The Beast profile. 90s Tim Sale artwork for Sabretooth & Wild Child and Bishop profiles. Sabretooth & Wild Child do look like traditional Tim Sale art. 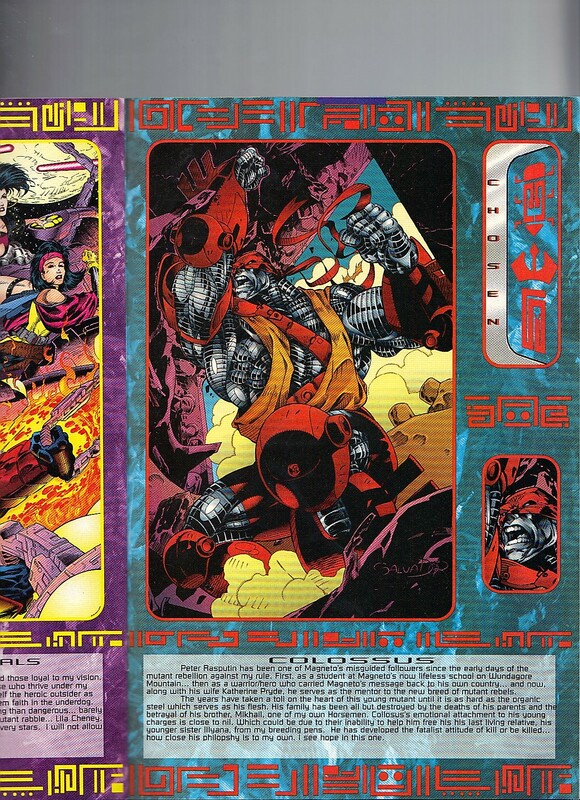 Larroca / Melia also provide the art for Magneto & Rogue, Cyclops, Storm, Human High Council and Angel profiles. Thanks everyone that visited the site yesterday. We outdid our single best day from 275 to 326!